The Burley Flake is totally new to me. Can't wait to try it. I've got some oddball stuff still, most from 2012 or so, but I'm going to totally redo everything. The correct way. 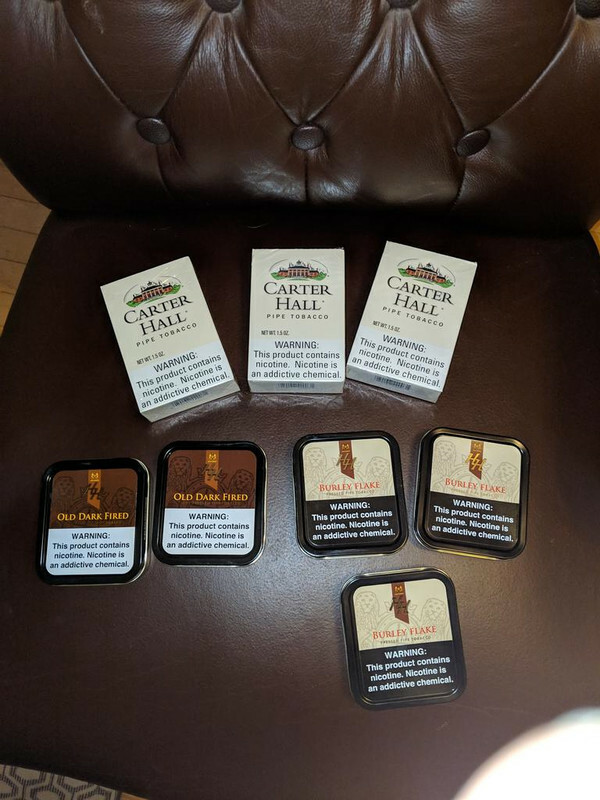 And turns out they changed the packaging of Carter Hall?? When did they do that? It's obviously been a while since I bought anything other than a tub! Good selection, Didimauw! I had some Burley Flake earlier this evening, mighty fine stuff. I can't speak for the others but Carter Hall has really grown on me. I'll have to start putting some away. Nice, I make sure to have these on hand at all times! didimauw, I have been doing the buy 3 plan since 2010 and I would highly recommend the method. Occasionally You end up with a couple of tins you don't like, but tastes change over time.